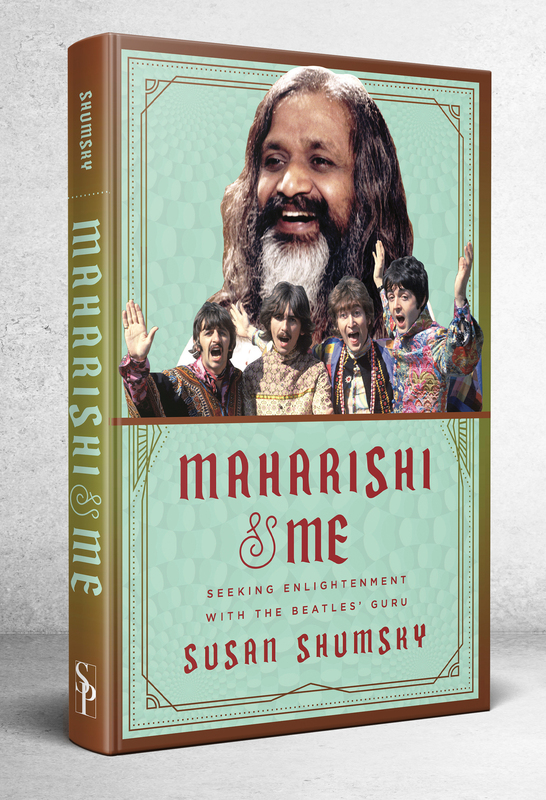 Excerpted with permission from Maharishi and Me by Susan Shumsky. Copyright 2018, published by Skyhorse Publishing, Inc. Available for purchase on Amazon, Barnes & Noble, and IndieBound. Ultimately, I discovered the divine presence within me. Even though I no longer have a guru in physical form, I enjoy an intimate relationship with the inner guru. Anyone can experience this divine source directly, without accepting dogma, and without middlemen, such as priests, pastors, psychics, astrologers, rabbis, or gurus. Once we let go of ego attachment, we become our own guru and miracle maker. The kingdom of heaven is within us. My life has been (and continues to be) lived in devotion, led by Spirit daily — even when I was younger and didn’t know it. Starting in 2002, about 150 wealthy devotees took Maharishi’s “Enlighten­ment Course,” forking over a cool million dollars per person to fly to Vlodrop, watch Maharishi on a video feed, and donate to the alleged permanent establishment of ten thousand pundit boys in India chanting day and night for world peace. Course graduates were bestowed golden medals and crowns and dubbed “Raja” (the Sanskrit word for “king”). They rode around in ostentatious royal white chariots drawn by white steeds, driven by formal coachmen in red uniforms and top hats, accompanied by marching bagpipers and flagbearers heralding their arrival — even when no one was there to greet them. Dr. Susan Shumsky has dedicated her life to helping people take command of their lives in highly effective, powerful, positive ways. She is the best-selling author of 14 books, published by Simon & Schuster, Random House Penguin, Red Wheel/New Page, and Skyhorse. A pioneer in the human potential field, she has spent 50 years teaching thousands of people meditation, prayer, affirmation, and intuition. Her book titles include Miracle Prayer, Divine Revelation, Exploring Meditation, Exploring Auras, Exploring Chakras, How to Hear the Voice of God, Ascension, Instant Healing, The Power of Auras, The Power of Chakras, Awaken Your Third Eye, Awaken Your Divine Intuition, Color Your Chakras, and Maharishi & Me. A sought-after media guest and highly acclaimed professional speaker, Dr. Shumsky has done over 600 speaking engagements and over 900 media appearances since her first book was published, including L.A. Times, GQ, Woman’s World, Cosmopolitan, William Shatner’s TV show, and Fox News with Alan Colmes.